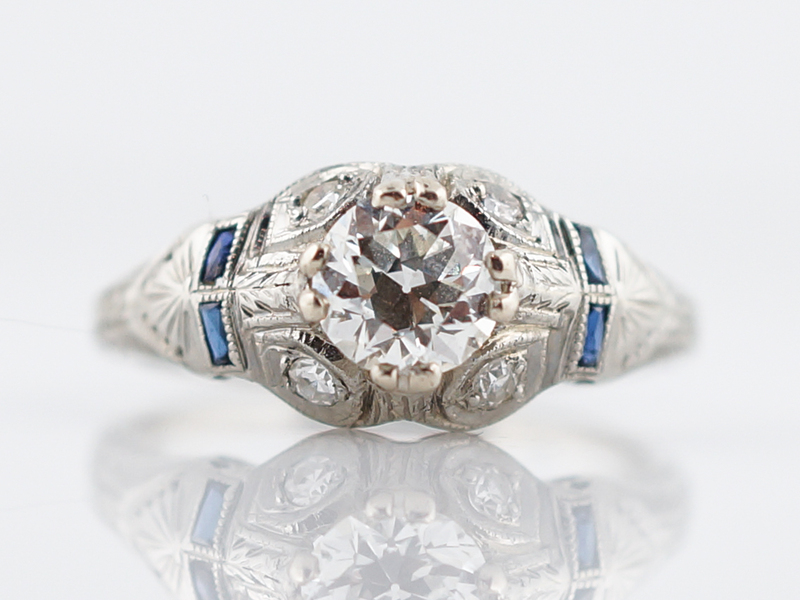 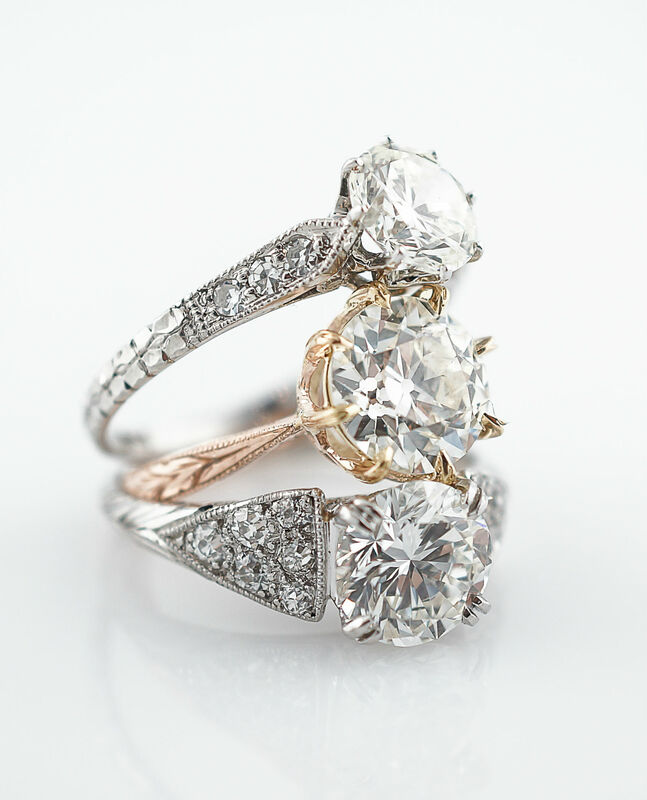 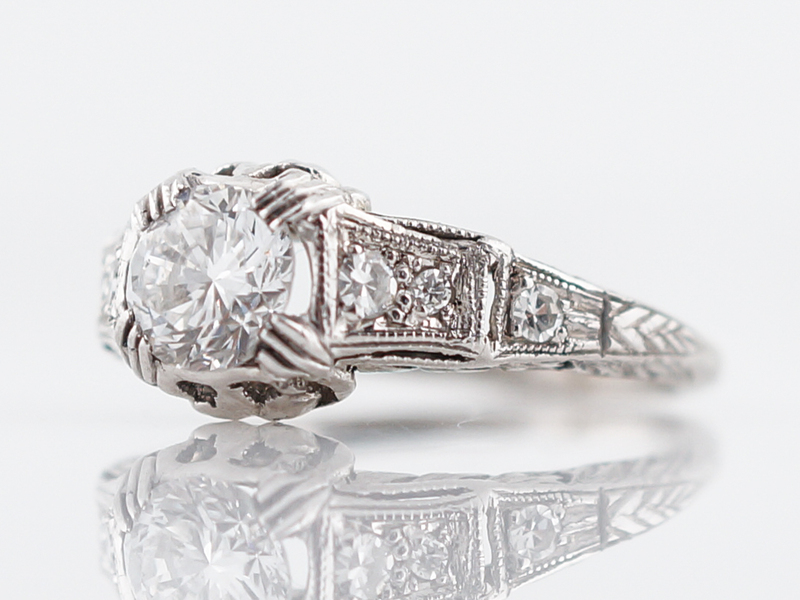 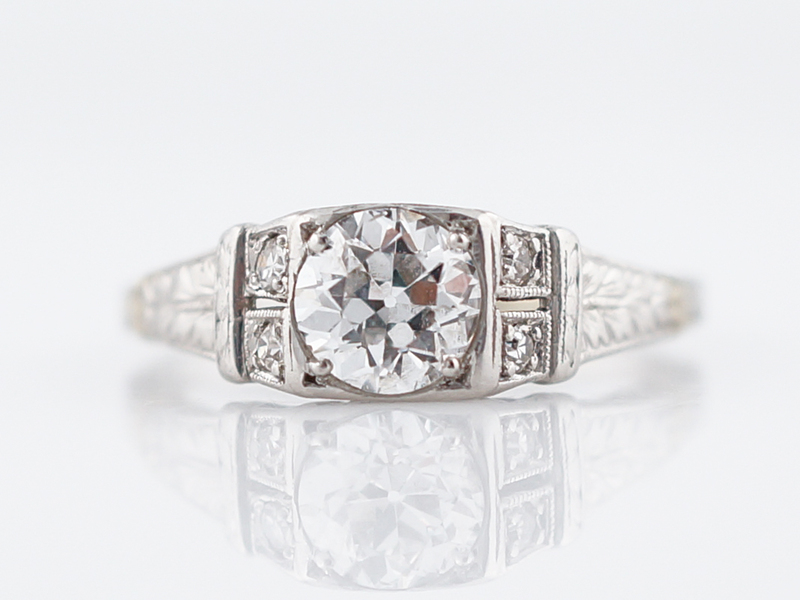 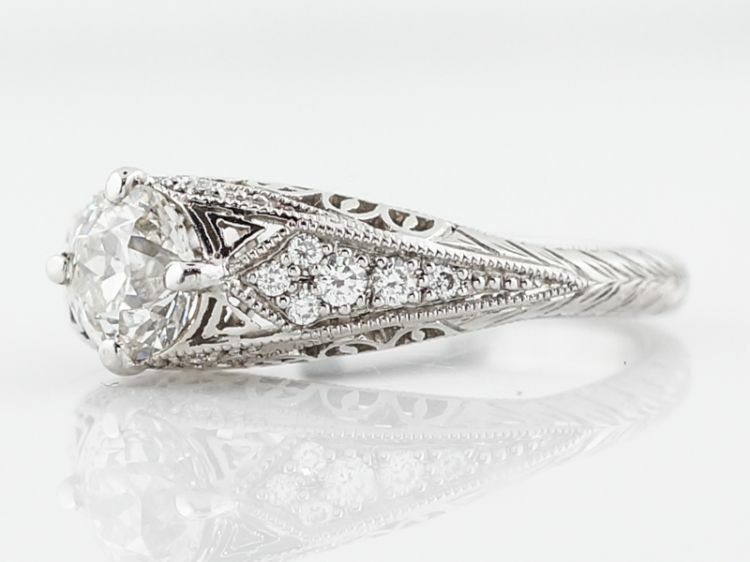 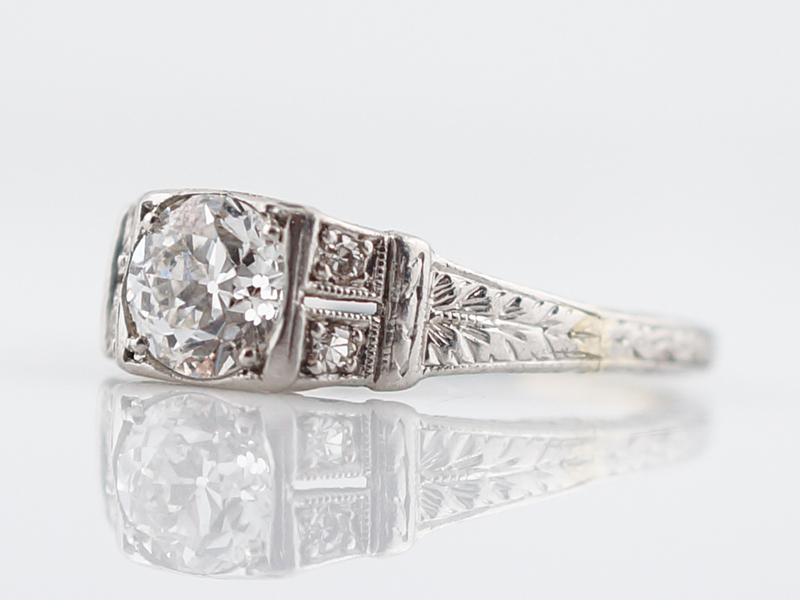 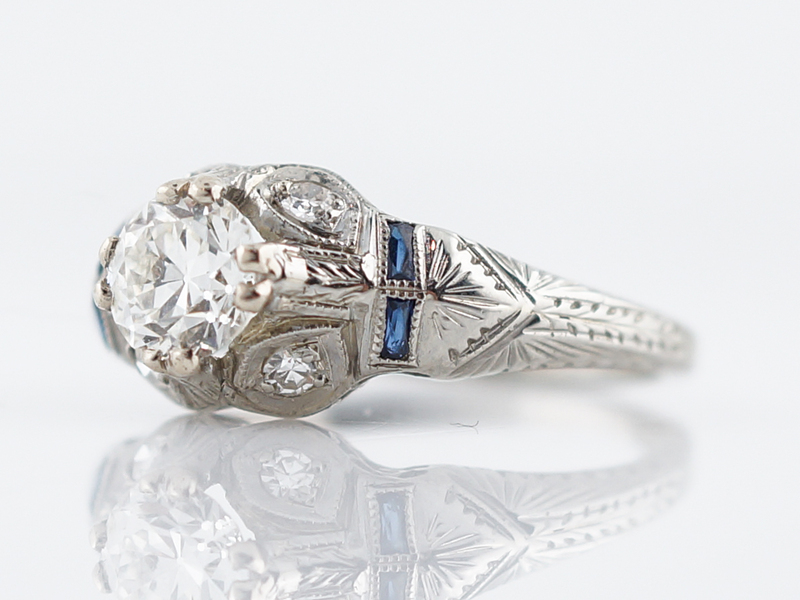 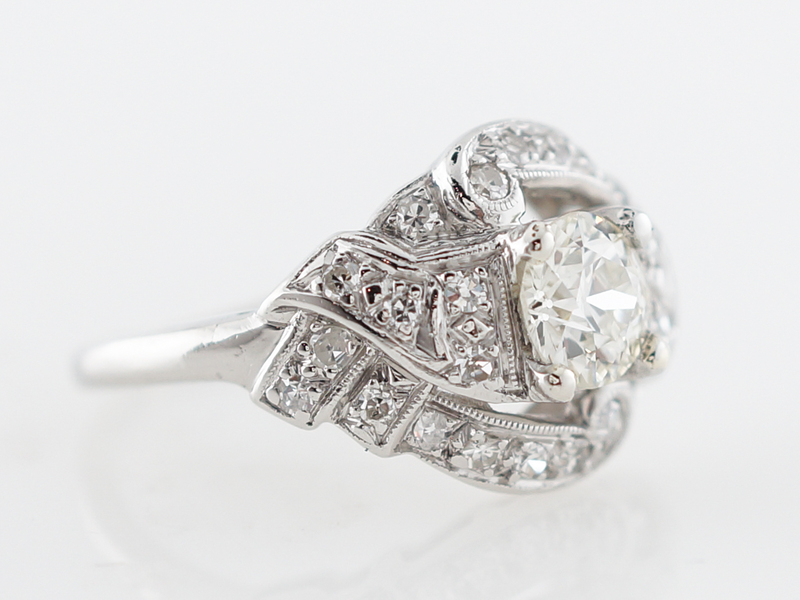 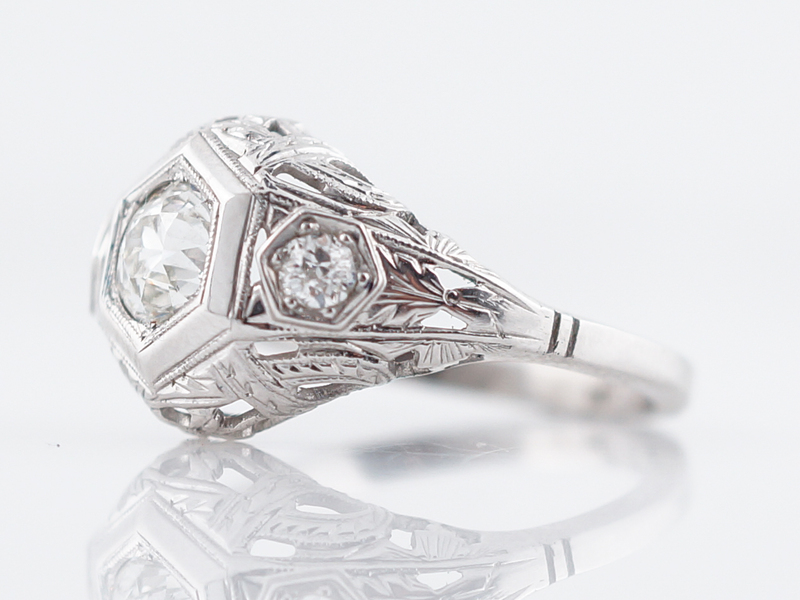 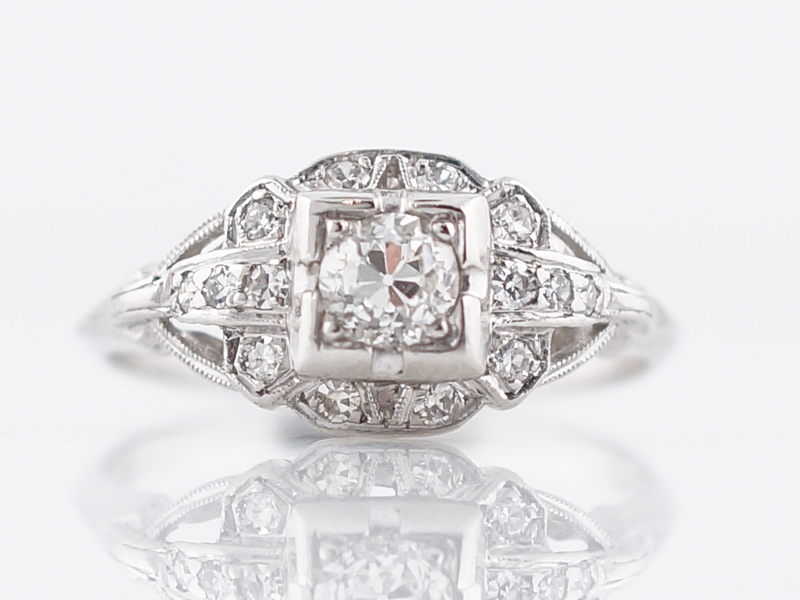 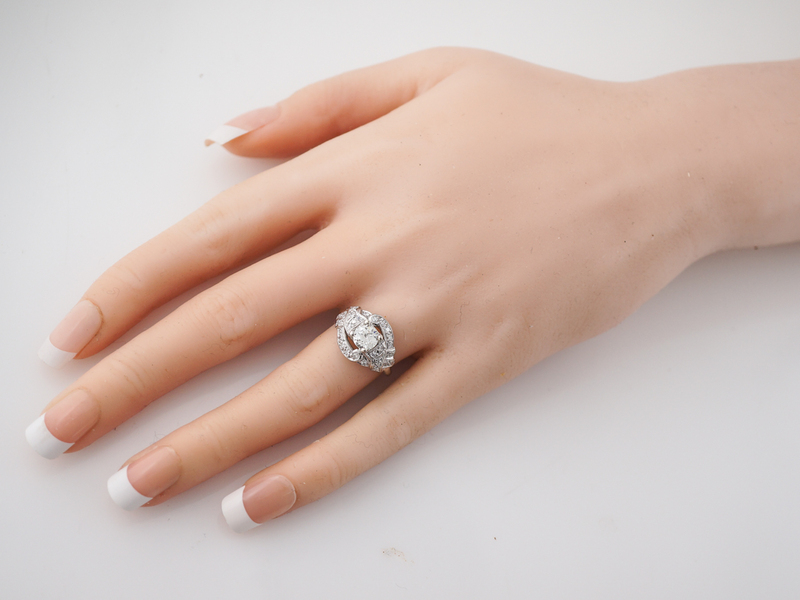 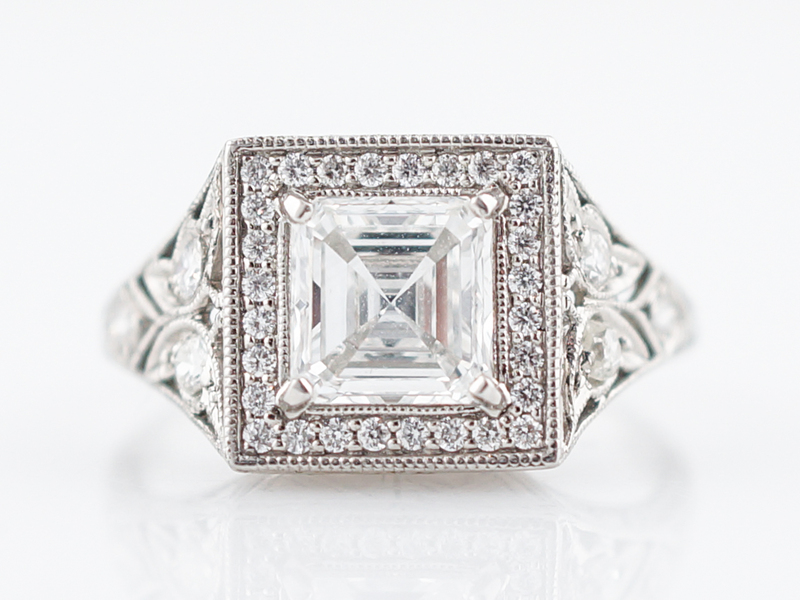 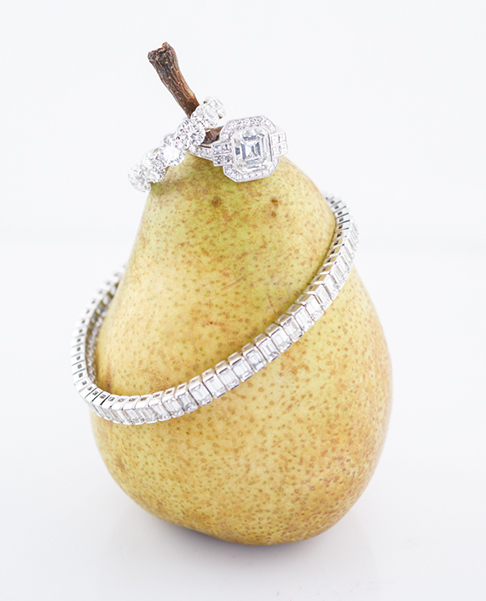 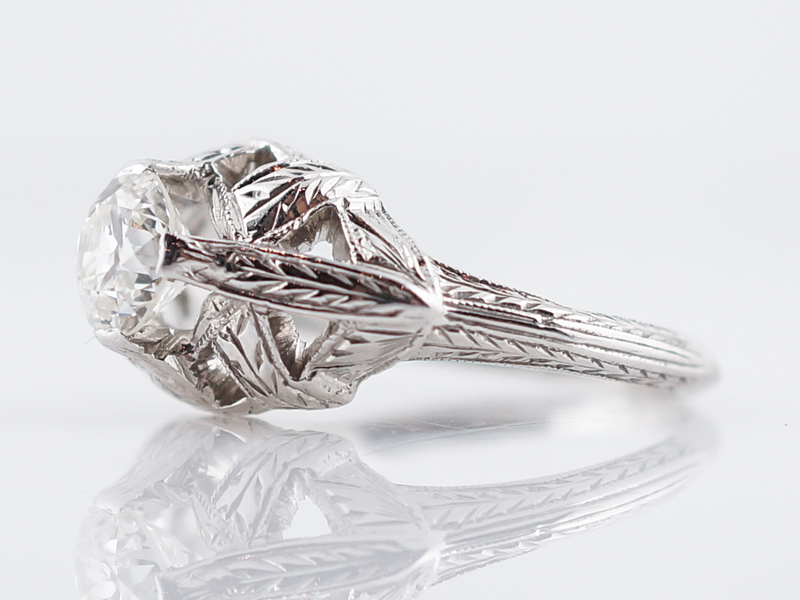 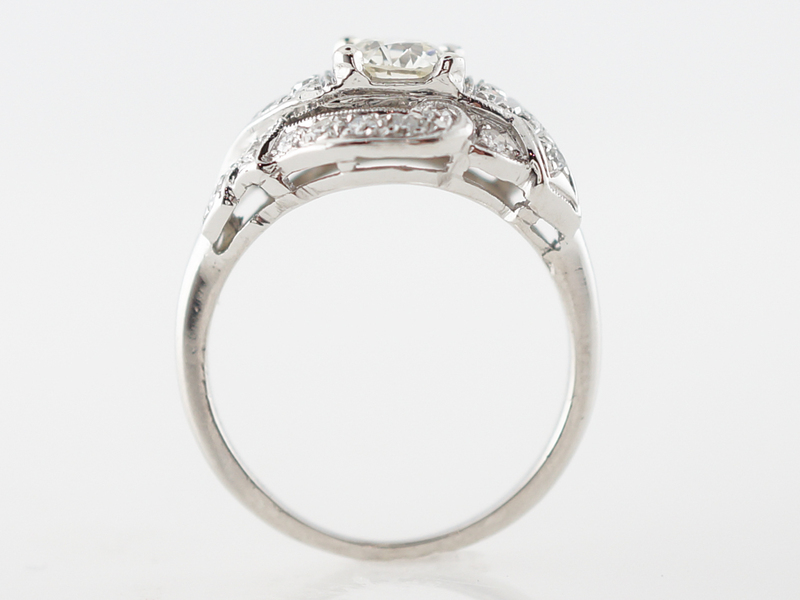 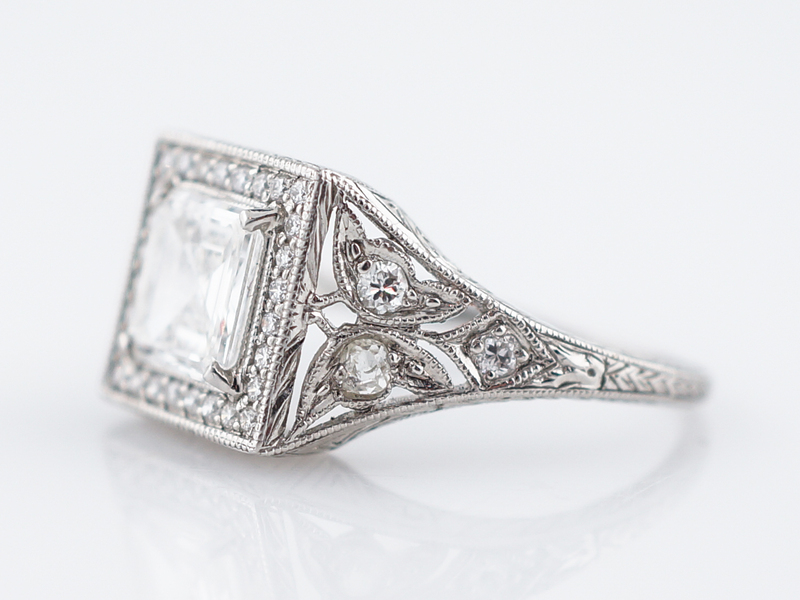 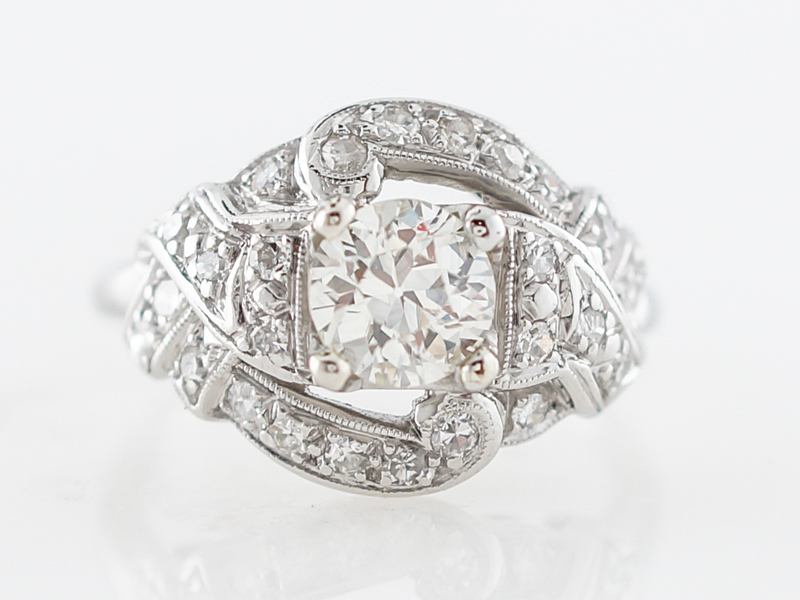 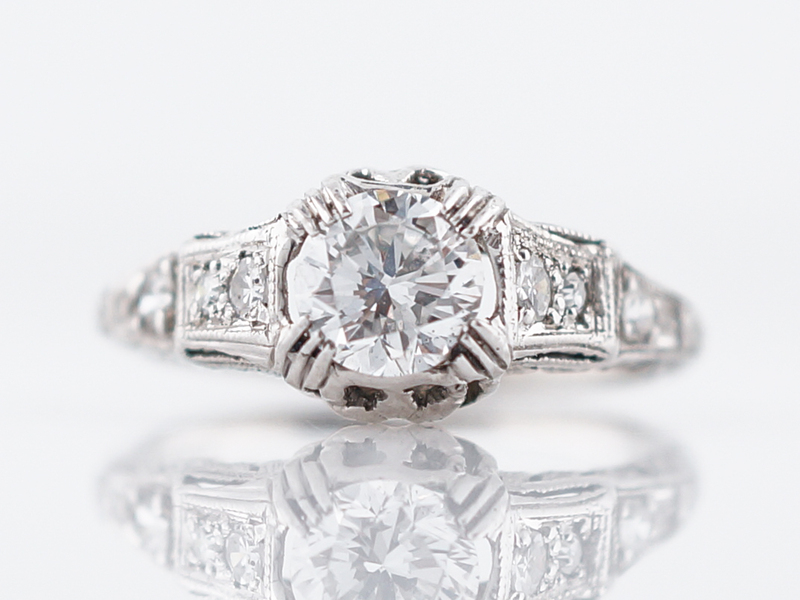 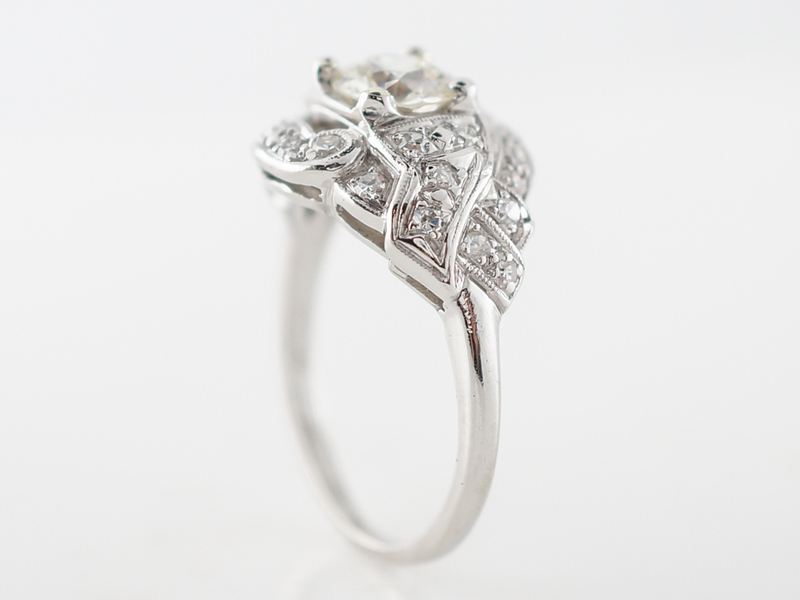 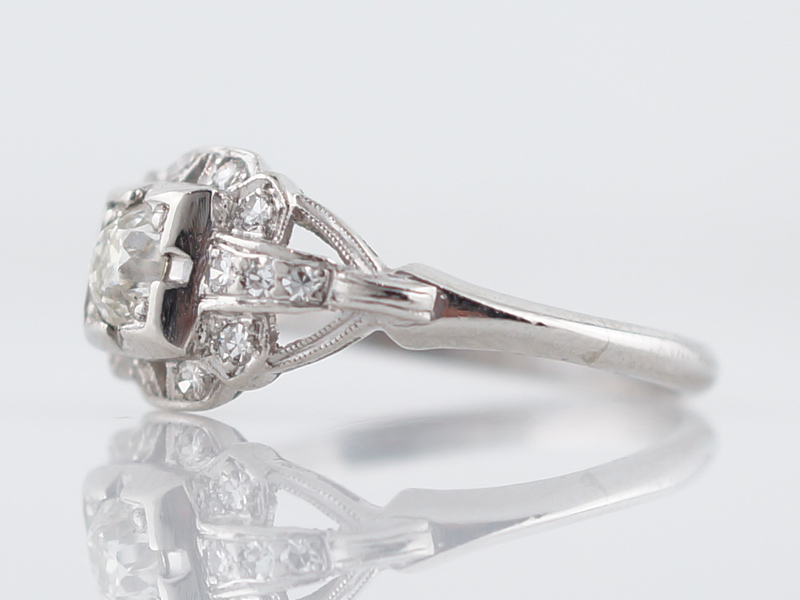 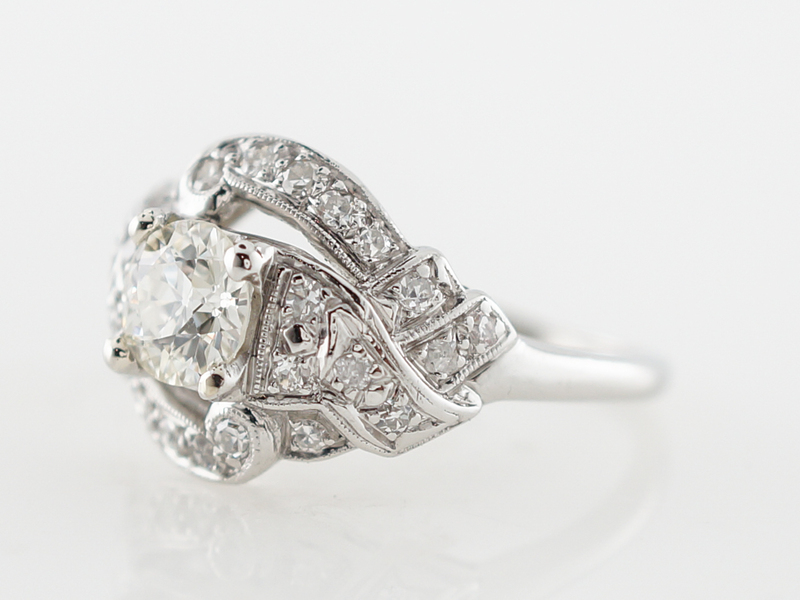 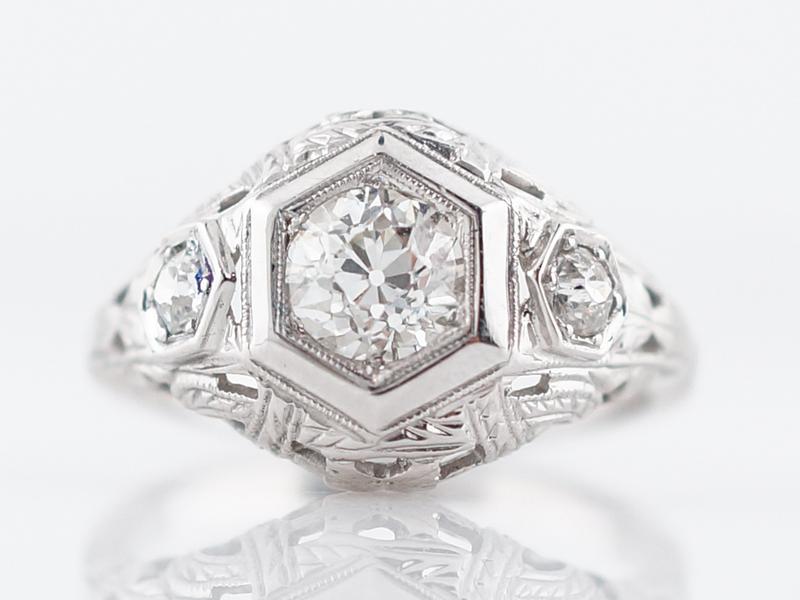 This original antique engagement ring features a .84 carat old European cut diamond at its center. 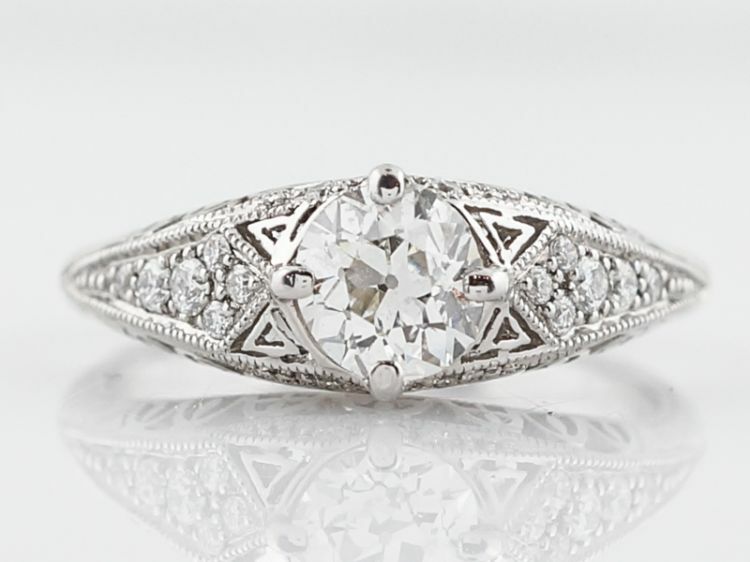 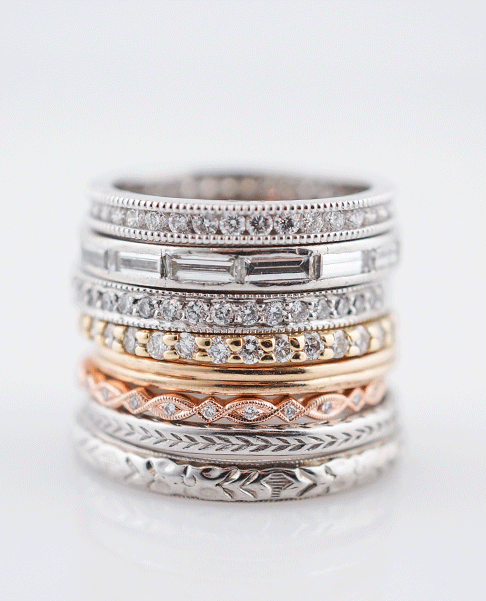 The center diamond is accented by gorgeous milgrain detailing and negative space, as well as an additional twenty-six (26) diamonds. 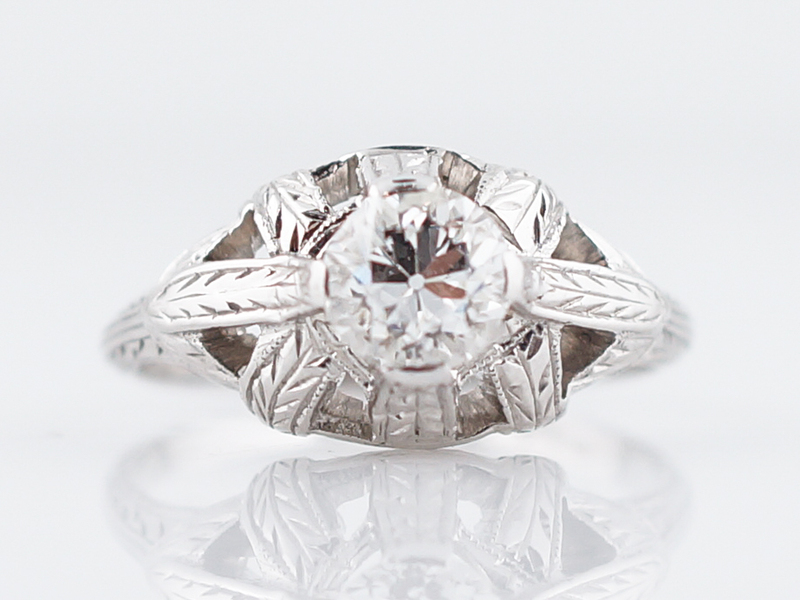 Overall, this substantial ring has a very organic feel in its design and it carries quite a presence!